I was a day behind in getting this “Monday Set” posted, but hopefully it was worth the wait. Here’s a fantastic live Bear In Heaven recording that I traded for last year. 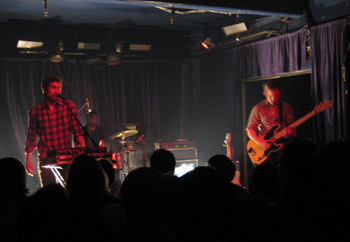 It was the first date of their fall/winter tour which spanned nearly four months. They’ve played a handful of dates here and there since that tour, but none near Los Angeles. Here’s hoping the lack of tour dates is due to a forthcoming album.